The memoirs revive the images of outstanding hierarchs and clergymen–future New Martyrs of Russia–whom Fr. Paul happened to be close to and with whom he endured the adversities of life. 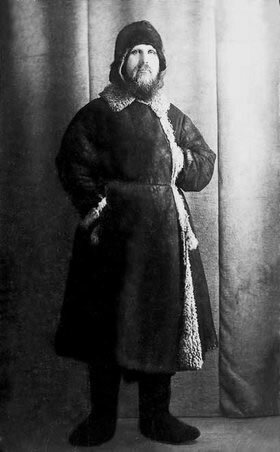 The most difficult of the four Paschas between 1923 and June 1926 was the time I had to spend in prison confinement for the sake of the Great Russian Church. I celebrated the first Pascha in Butyrskaya prison, the next two Paschas on the Solovetski Islands, and another in a transit camp, or I’d rather say, a convict prison on Popov Island. It was this last Pascha that made an ineffable impression on me. On the one hand, it was an externally sad impression, but on the other hand – joyful one. It seems especially so now, when I live in the far south – a part of land that differs greatly from the far north. That Pascha was sad because it, Pascha, was quite unexpected for me. I was supposed to celebrate the fourth Pascha at home, with my family. But the Lord settled the matter differently. March 30 was to be the end of the confinement term for our whole group that had been convicted for the honor of our home church. This group had refused, for the sake of St. Nicholas parish’s honor, to recognize the existence of the Church Affairs Revolutionary Committee of Rostov. The morning, however, brought me the saddest news: Bishop Mitrophan and I were to stay here, for an unknown reason, for an unknown period. Maybe for one week, or maybe for ten. Oh, I thought , again I am hurt much more than the others. Either I am more sinful than the others or the Lord loves me more than them. With envious eyes, I watched Father Alexei and six other priests leave while I stayed in the camp, longing for the day when that same Anfilov would send for me. Everywhere there was ice, snow, barb wire, and tall posts with cabins in which the sentinels, dressed in sheepskin coats and cursing the island, guarded the lives of the most heinous “criminals”: bishops, priests, archdeacons. My heart was heavy with sorrow. But a thought kept haunting me – does anything happen by chance in our lives? Doesn’t the Lord govern the world and our lives? Could He really wish us evil? Just wait, and we shall be able to discern the good consequences of this temporary delay. About two weeks passed in this manner. The company quarters were filled with yelling, racket, and noise – the inspection was underway. As I looked around carefully, I saw Archbishop Hilarion in a brown kaftan, sitting on a plank bed. The moment he saw me, he rushed to me: “Father Paul! Father Paul!” We kissed each other on the cheek several times. However, our friendly meeting did not go unnoticed. The company commander general Pepellevsky and camp sergeant-major’s assistant F. Polyvtsev insisted that I get out until after the inspection was over, even though I was trying to prove my official status by papers and pencils. Pascha was drawing near. An large crowd of people herded into the transit camp. Because of the bad spring roads, the lumber cutting had been stopped. Over a thousand people were returned to the camp, although it had been designed only for 800. The club-house was closed and turned into living quarters with plank beds. In other barracks, the aisles were blocked up by plank beds, and double bunks were altered into triple (three-tier) ones. Even the privileged barrack that once used to serve as an office was transformed into a room with double plank beds and now housed 120 people instead of sixty. I decided to prepare my brothers. I engaged in conversation the very good-humored Archbishop Nektary (Trezvinksy), Bishop Mitrophan (Grishin), Bishop Raphael (Gumilev), and Bishop Gabriel (Albanikov). The latter could not even suspect what troubles awaited him. Among other brothers, I notified Father Philonen, a chess-player, and Father Arkady Marakulin, Vladyka Hilarion’s constant companion. The invited people, however, split into two groups. Only Archbishop Hilarion and Bishop Nektary agreed to hold the Paschal service in the bakery that was far from complete: it had neither doors nor windows, only openings in the walls. The rest of the bishops decided to have the service on the third tier of plank beds in their barrack, close to the ceiling and next to the company commanders’ quarters. But I made up my mind to risk singing the Paschal service outside the barracks, to avoid hearing foul language at least in those sacred moments. The three of us agreed to meet. Holy Saturday came. Workers arriving from lumber-cutting sites were packed into the prison yard and barracks like sardines. Now, a new trial befell us. The commandant ordered the company commanders not to allow even a hint of a church service and not to admit people from other companies starting at 8 p.m. Bishops Mitrophan and Gabriel sadly informed me of the order. Despite that, I was urging my “parish clergy” to try and hold the service in the bakery. Bishop Nektary agreed willingly, while Archbishop Hilarion did so reluctantly. However, he still asked me to wake him up at midnight. A little after 11 p.m., I first headed for Vladyka Nektary’s barrack. The doors were wide open, and as I quickly entered, the guard on duty blocked my way. “No one from other companies is allowed here.” I stopped hesitantly. However, Vladyka Nektary was quick. “Coming, coming,” he told me. I headed for Vladyka Hilarion’s quarters. Swiftly entering the barrack, I walked past the guard on duty whom I knew a little and who was disposed in my favor. “Please, do it quick and leave. That’s against the order.” I gave him a nod and walked up to Vladyka Hilarion, who was sleeping, his giant body sprawled. I pushed Vladyka’s boot and he raised himself a little. “It’s time,” I whispered to him. The whole barracks was asleep. I went outside. Vladyka Nektary was waiting for us in the convict line-up area. Vladyka Hilarion joined us. In single file, we headed quietly for the back of the barracks and then across the road. The unfinished bakery framework was there, its doorways and window openings gaping. Instead of going in together, we agreed to sneak in one by one. Once we were inside the building, we chose the wall that could best hide us from the eyes of people who might walk along the path. We were clinging close to the wall – Vladyka Nektary to the left, Vladyka Hilarion in the center, and I to the right. “Will you start?” asked Vladyka Nektary. “Matins?” asked Vladyka Hilarion. “No, everything in order, starting with the Midnight Office,” answered Vladyka Nektary. “Blessed is our God…,” whispered Vladyka Hilarion. We began singing the Midnight Office. We sang: “Of old Thou didst bury…” And those words set to a gripping tune were strangely, strangely echoing in our hearts. “…the pursuing tyrant beneath the waves of the sea…” Our hearts felt the whole tragedy of the pursuing Pharaoh as keenly as never before, especially under those circumstances. There was the white sea covered with a white sheet of ice, the floor beams under our feet instead of a choir loft, and the fear of being spotted by the guards. But all the same, our hearts were breathing joyfully because, despite the commandant’s strict order, we were singing the Paschal service. We finished singing the Midnight Office. Archbishop Hilarion blessed us to sing the Matins. 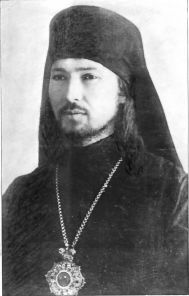 “Let God arise, and let His enemies be scattered…­,” whispered rather than said Vladyka Hilarion, peering ahead into the night gloom. We sang, “Christ is risen!” “Shall I cry or laugh with joy?” I thought. Oh, how did I long to strain my voice singing the marvelous irmoi! But we had to be prudent. We finished singing Matins. “Christ is risen,” said Vladyka Hilarion, and the three of us kissed one another on the cheek. Vladyka Hilarion gave us a dismissal blessing and left for the barracks. Bishop Nektary, though, wished to serve the Hours and the Typika also. And so the two of us served those also. This time I led the service while Vladyka Nektary acted as reader. He himself chose to do so, for he knew all the hymns and the Epistle readings by heart. On account of the feast day, I invited Vladyka Hilarion to my barracks for a cup of coffee. We had our coffee in the utility quarters office that was vacant on the holiday. Vladyka wondered at my boldness and resourcefulness. We had coffee with halva and several pieces of that Pascha cake that the Kem clergy had sent to us. Yes, the circumstances of Pascha 1926 were extraordinary. While the three of us were celebrating Pascha in the unfinished bakery, the Rostov clergy, accompanied by I.F. Kovalev’s wonderful choir, led a solemn Paschal divine service in the electricity-lit cathedral. But…­ It seems to us, that our Kem Pascha with Vladyka Hilarion, held in the bakery that had neither doors nor windows, lit only with stars, and missing mitres and brocade vestments was dearer to the Lord than the Rostov Pascha furnished with splendor. Information for the footnotes is taken from Wikipedia. “The Living Church (Russian: Живая Церковь, живоцерковники), also called Renovationist Church or Renovationism (обновленчество, обновленческая церковь from обновление ‘renovation, renewal’) was a schism in the Russian Orthodox Church in 1922–1946. Originally begun as “grass-roots” movement among the Russian clergy for the reformation of the Church, it was quickly corrupted by the support of the Soviet secret services (CheKa, then GPU, NKVD), who had hoped to split and weaken the Russian Church by instigating schismatic movements within it. The beginning of actual schism is usually considered to be in May, 1922 when a group of “Renovationist” clergy laid claims to higher ecclesiastical authority in the Russian Church. 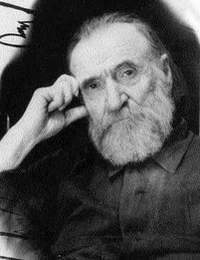 The movement is considered to have ended with the death of its leader, Alexander Vvedensky, in 1946” (quoted from Wikipedia). The word “zhyvtsy” is short for “zhyvotserkovniky”(живоцерковники) and was mockingly used by the members of the canonical Russian Church to refer to the representatives of the Living Church. In fishing, the word “zhyvtsy” also refers to small live fish put on a hook for luring bigger fish. Thus, “zhyvtsy” is a pun revealing the role of the Living Church members as a “bait” used by the communist authorities to entice and corrupt the rest of the Russian Church. After the October Revolution, this prison , located in Moscow, was a place of interment for political prisoners and a transfer camp for people sentenced to be sent to the Gulag. These islands are located in the Onega Bay of the White Sea , Russia. After the October Revolution, they became the site of the first Soviet prison camp. An island in Peter the Great Gulf in 20 km to the Zolotoy Rog between Reyneke and Russky Islands. Part of the Soviet Gulag system. One of the oldest towns in Russia located 202 km to the north east of Moscow. St Petersburg was called this name in 1914-1924. A kind of a man’s tight suit with long sleeves. The form of address to the patriarch and bishops of the Russian Orthodox Church. Plural for irmos – the initial troparion of each individual ode in a canon as chanted by the Eastern Orthodox Church and those Eastern Catholic Churches which use the Byzantine rite. A dense sweet confection made with sugar and sunflower seed butter. Obviously a luxury in a prison camp. A historic town in the Republic of Karelia, located on the shores of the White Sea. In the Soviet period, it was used as departure place for boats headed to the Solovetsky Islands carrying political prisoners from 1926 to 1939. A single or double shot of espresso topped with whipped cream. A popular name for the Solovki prison camp located on the Solovetsky Islands. It was the ‘mother’ of the Gulag according to Alexander Solzhenytsyn.